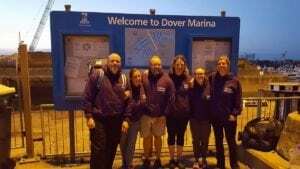 A year ago, me and 5 other swimmers decided to complete an English Channel Relay for a number of different reasons and to raise money for charity. After swimming through winter in skins (no wet suit), numerous trips to the sea, a 2-hour qualifier and many filled in forms, we finally did it and I’m already planning a reunion to beat our time. 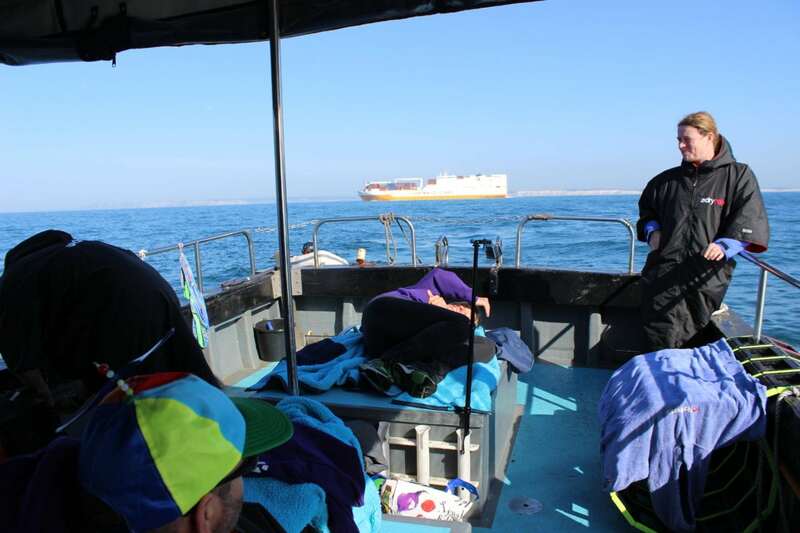 At 3:00am on Saturday 17th June, we boarded the Louise Jane piloted by Andy and James King and travelled round to Shakespeare beach. 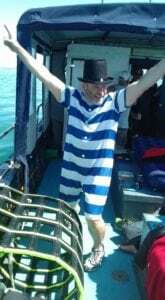 Ray, (who was sporting union jack shorts) was our first swimmer and jumped into the water just as the sun was starting to break. He swam to the shore stood above the sea level and waved, just as the clock started for our big channel swim. Very ungracefully he fell back into the water and started the first hour. 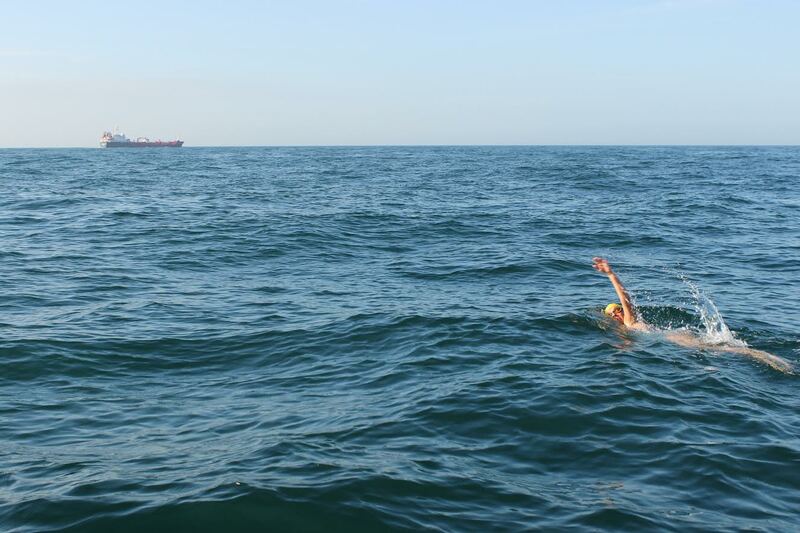 He did a fast-strong swim and took us way out of the harbour into the open sea. 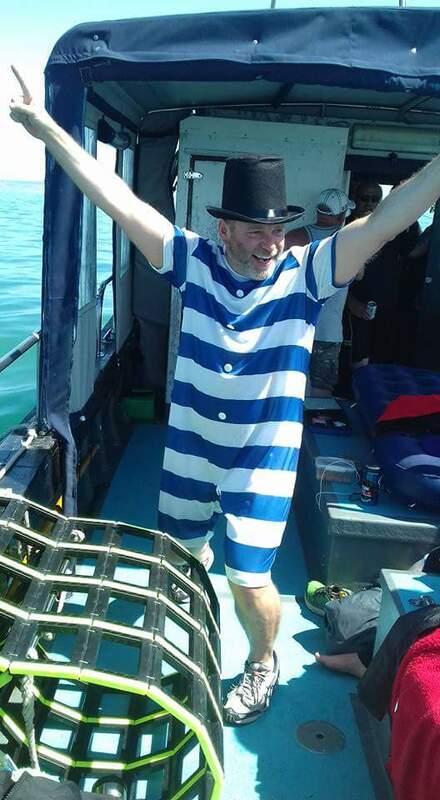 5 minutes before his hour was up, Cate got ready and sat on the edge of the boat ready to jump in. Andy the observer called time on Rays first stint and Cate jumped off the boat into the water. Cate couldn’t begin her swim until Ray was out of the water, so she took this time to get her breath and get a feel for the sea. Her hour was difficult with waves coming from every direction with no real form but despite this she covered a good distance and kept her head down. 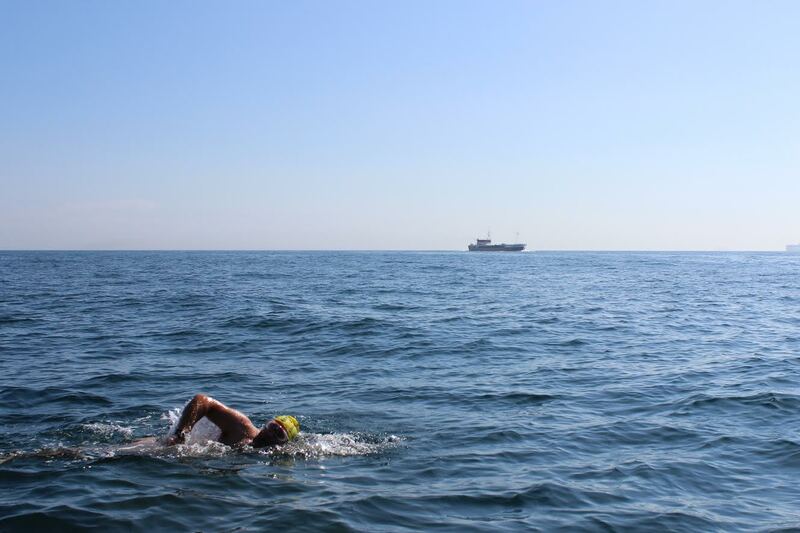 In the 3rd hour, Andrea did a very fast swim and took us up to the Northern shipping lane. By this time the waves were starting to calm down but still crashed up against the side of the boat. So far none of us had seen any jellyfish and would hope that it would stay that way until we got to France. After Andrea it was my turn, I’d been jumping up and down, excited to get in and do my hour. I had a good swim and got us through the northern shipping lane. Rob was next in and covered a good distance that took us closer to half way. The final person in the first run through of our relay was Sarah. She swam brilliantly and got us past half way and into “no man’s land” this is the area where you aren’t connected to French or English telecoms, you are very much on your own and just thinking about how far out you are and how deep the water is, really is amazing. After our first run through it was now 9:45am and we still had a long way to go. The sea had calmed down and Ray was in again for his second swim. France was now in sight and the white cliffs of Dover were fading off into the distance. 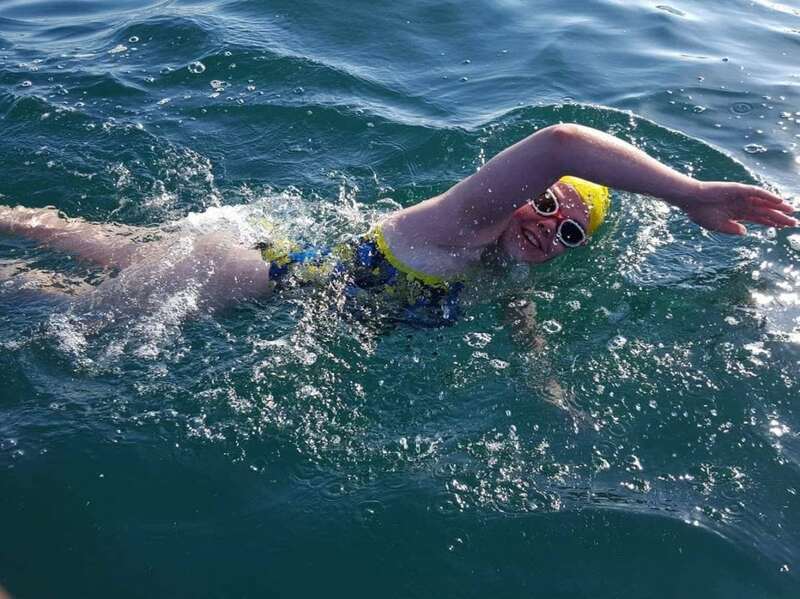 Unlike her first swim, Cate powered through and did a fast swim in flat calm waves. 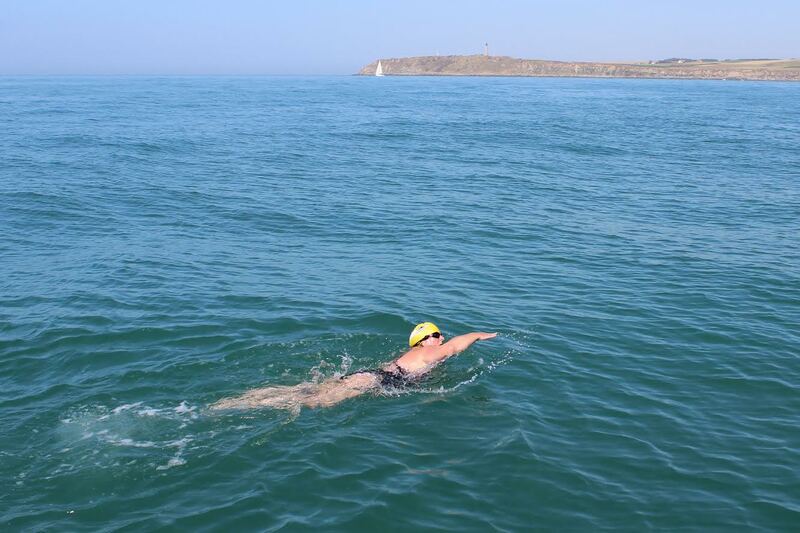 Andrea swam her next leg through the strong current that was pushing past the lighthouse on ‘Cap Gris Nez’, which is the ideal landing point. I then did, what would be my last swim of the day. The water was getting warmer but the current was getting stronger. Even though we’d already been avoiding sea weed, huge container ships and jellyfish, we now had to look out for lobster catchers and buoys. When you looked at the buoys it looked like they were moving but really it was the current zooming past them. One minute the buoy was behind you, the next it was about a mile from where you were. Rob was up next and he got to swim with Porpoises and was also visited by the bays resident seal. On the boat, they were really nice to watch but I don’t know how Rob felt swimming with them! Personally, I’d say that we all got closer as friends on the boat during our relay but Ray and Rob maybe got too close and it got rather worrying. 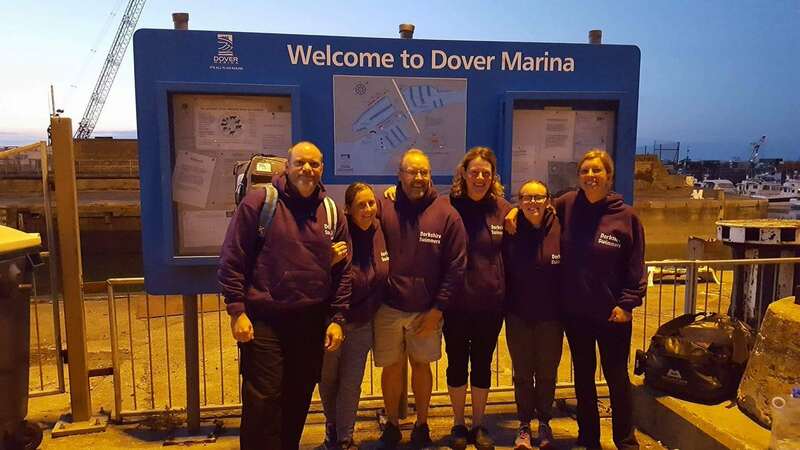 Despite already spending over 11 hours on the confined boat, everyone was in good spirits, even our team manager, Jonathan who hadn’t stopped encouraging us since we started this adventure in the early hours of the morning. 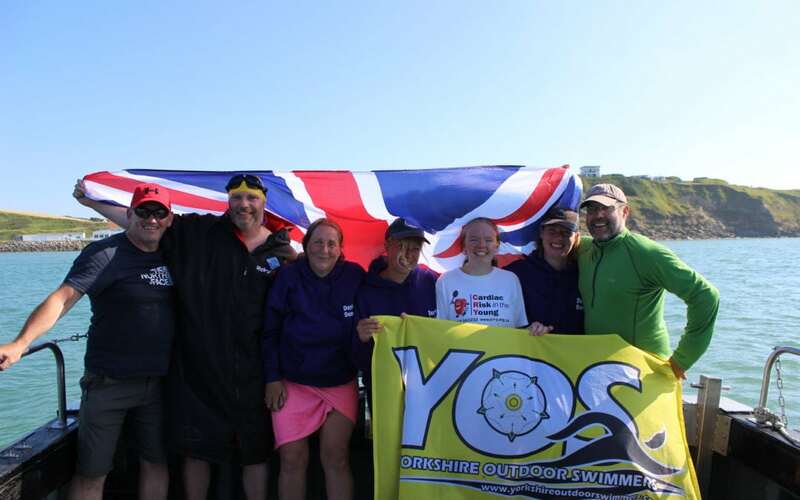 No one knew whether our last swimmer, Sarah would get the privilege of landing or would Ray get to finish on his third swim. 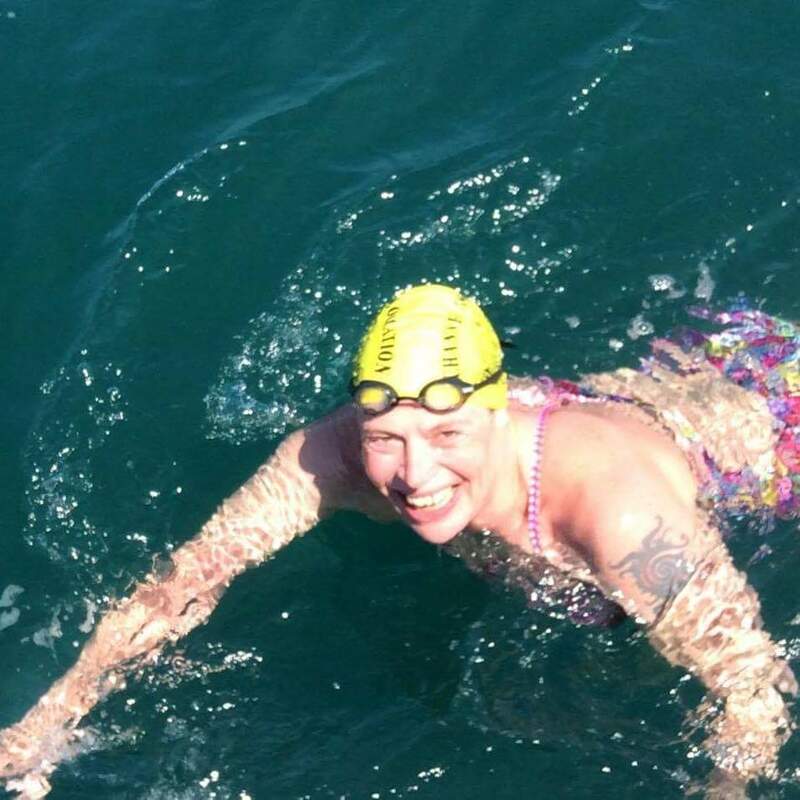 After a tough swim against the waves, Sarah swam the penultimate hour that would keep us on track for the finish. Unfortunately, it was not to be and Ray had to get in a do the final push onto the slipway at Cap Gris Nez. He had been told that the owner of the restaurant comes out with a bottle of Champagne but no one came. After 12 hours and 34 minutes, Team Dorkshire Swimmers landed in France. 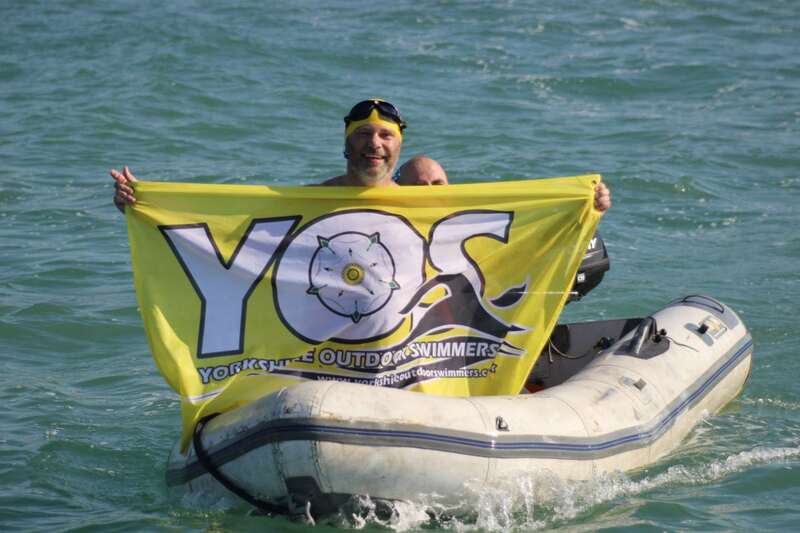 After scaring a dog and a quick talk with a German family, Ray hopped into the boat and sailed back to the Louise Jane with the YOS flag held up high. 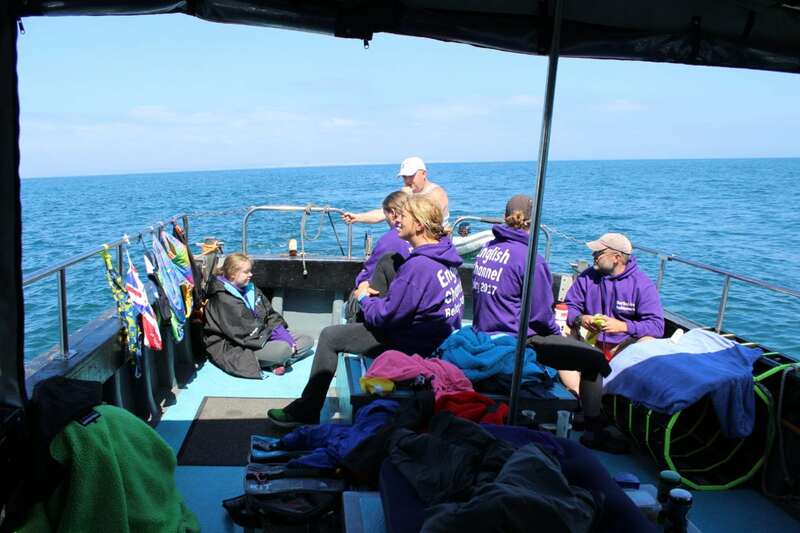 Once everyone was back on the boat and warm and dry, we started the bumpy 2-hour journey back to England. Even when you’re back on dryland, you’re still swaying.